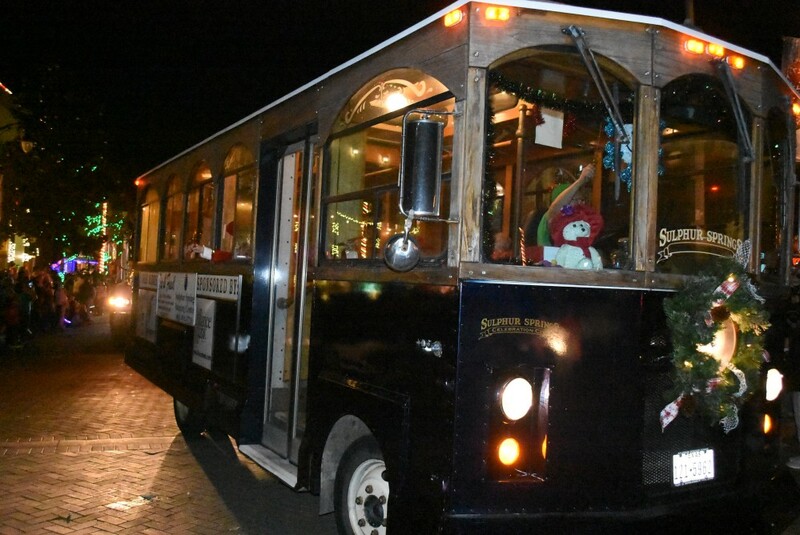 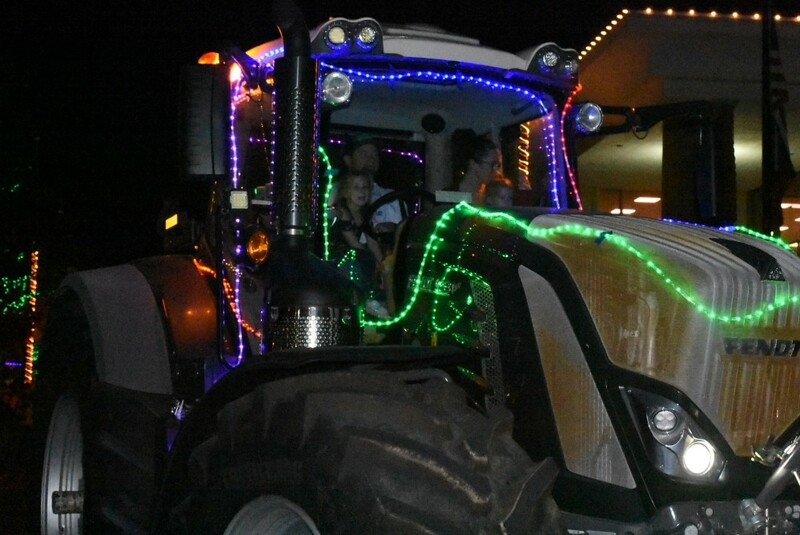 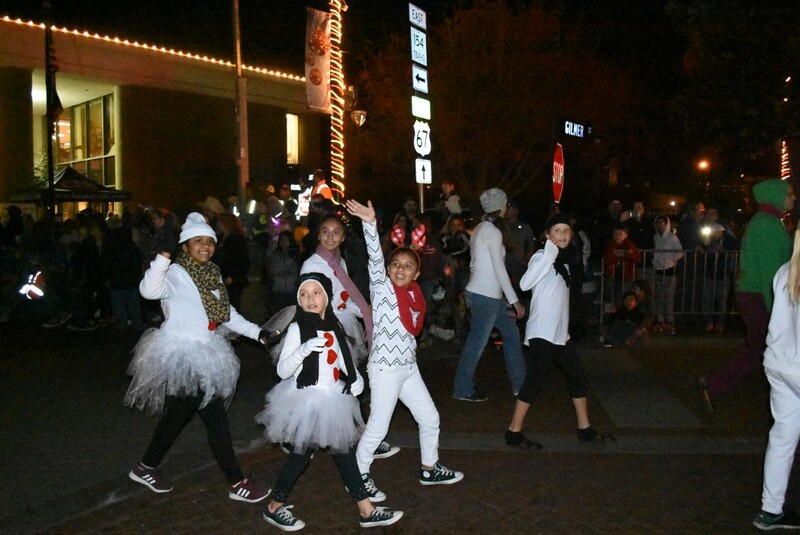 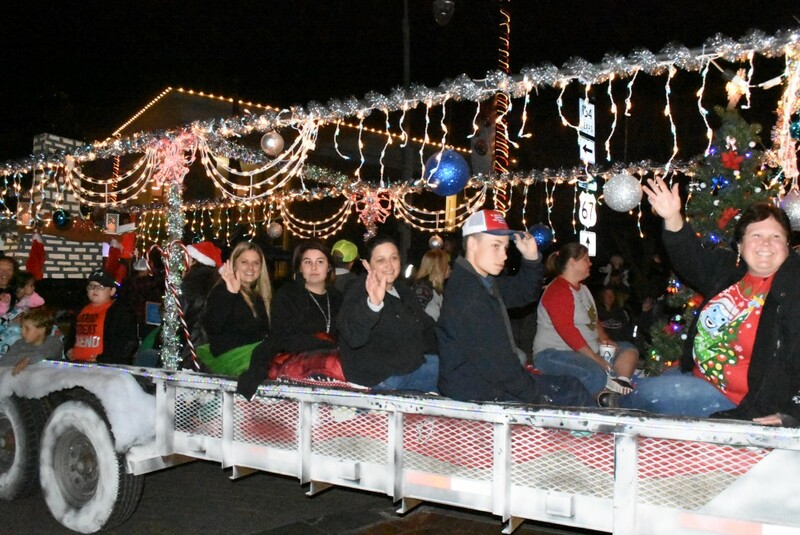 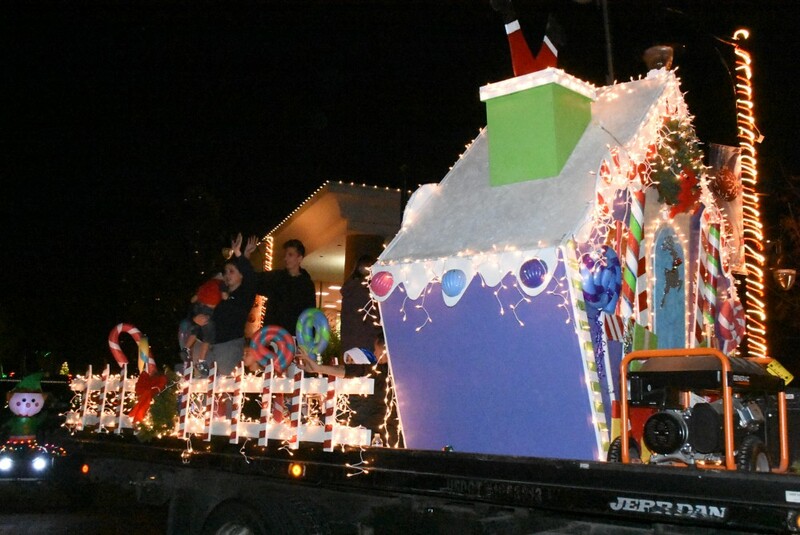 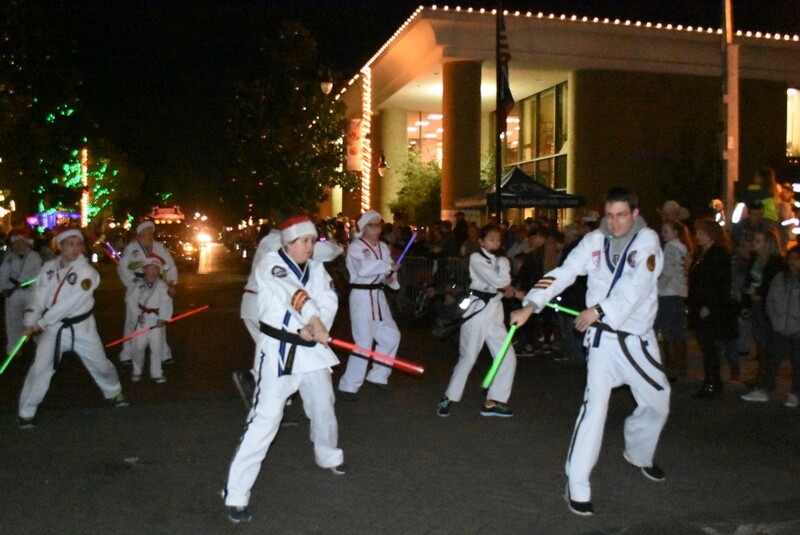 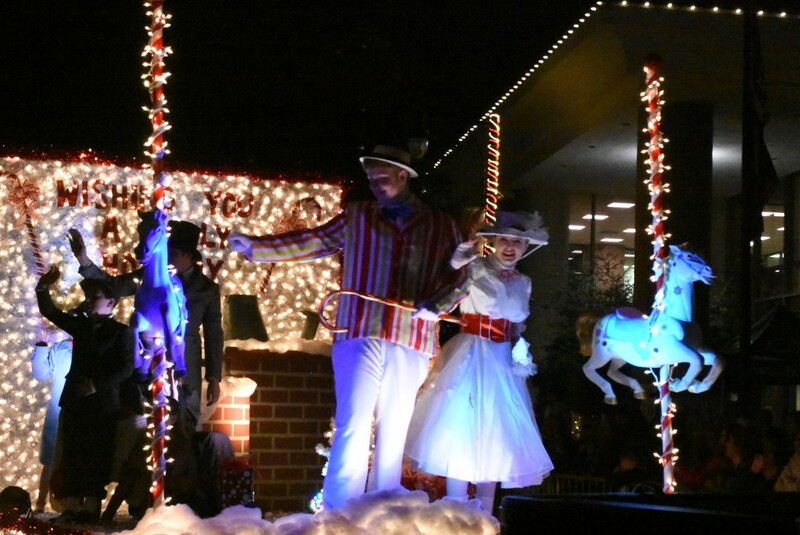 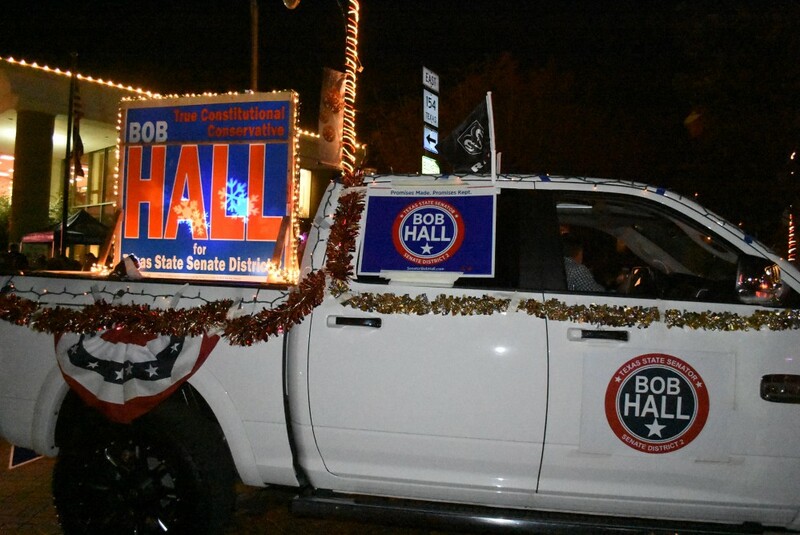 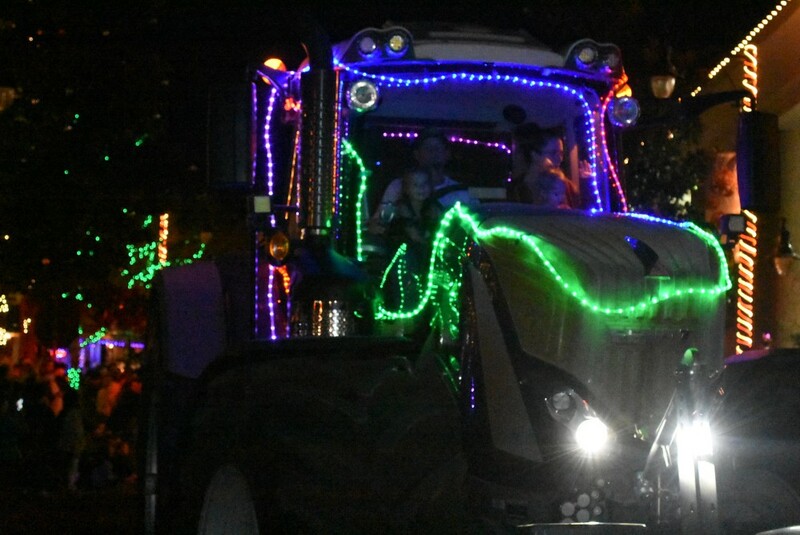 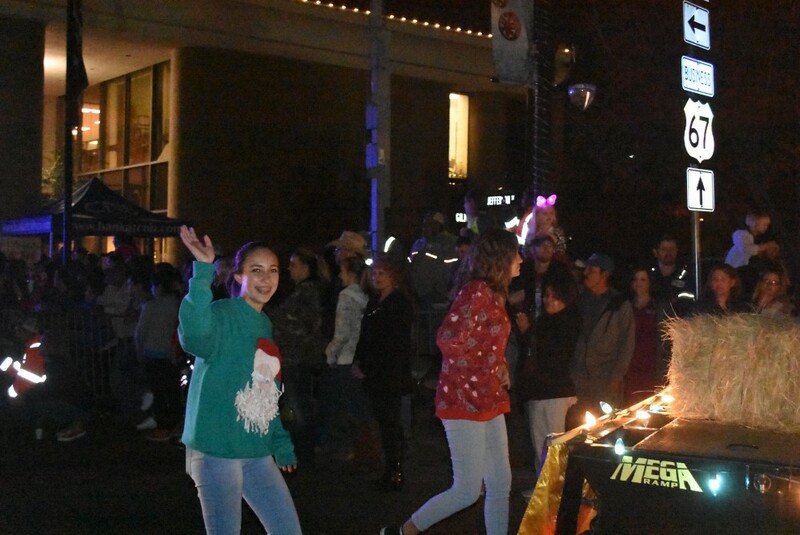 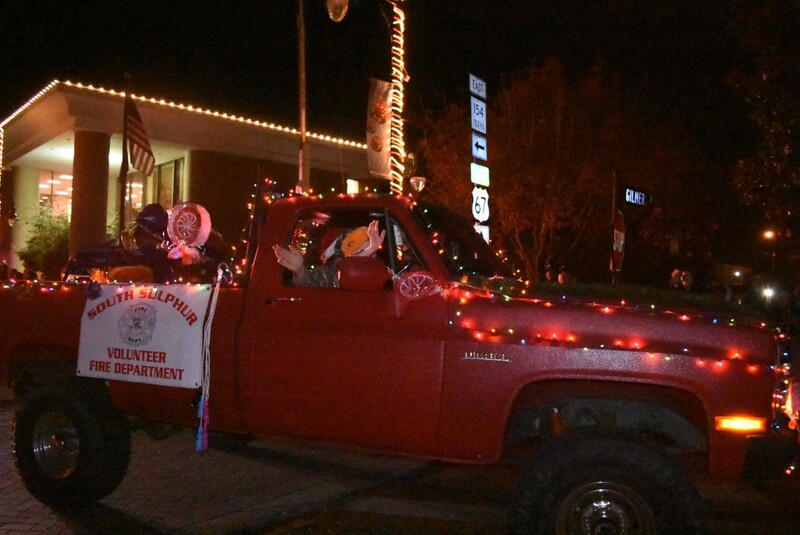 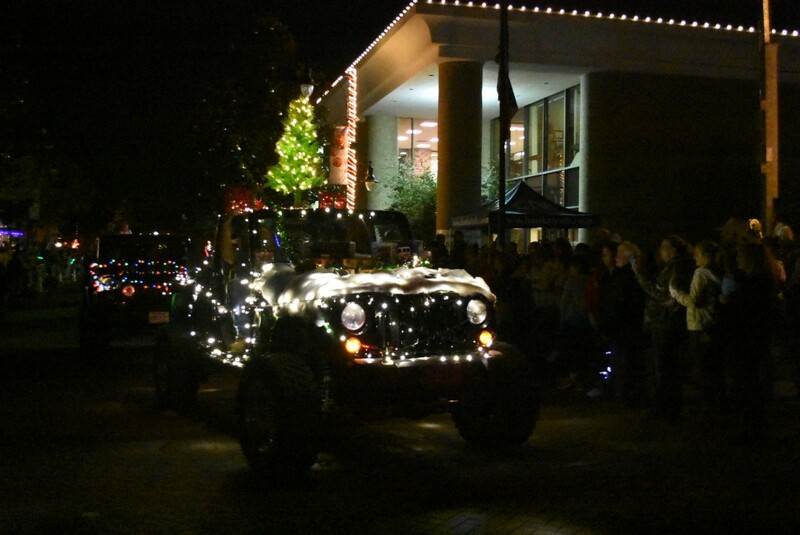 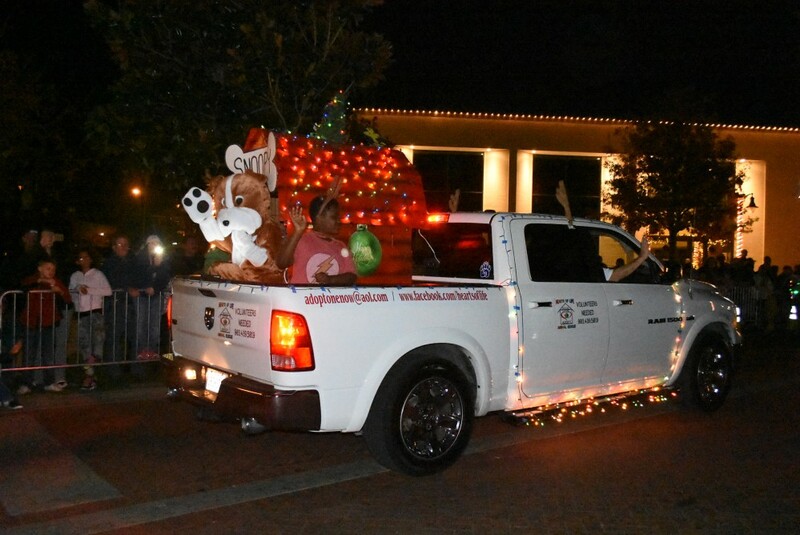 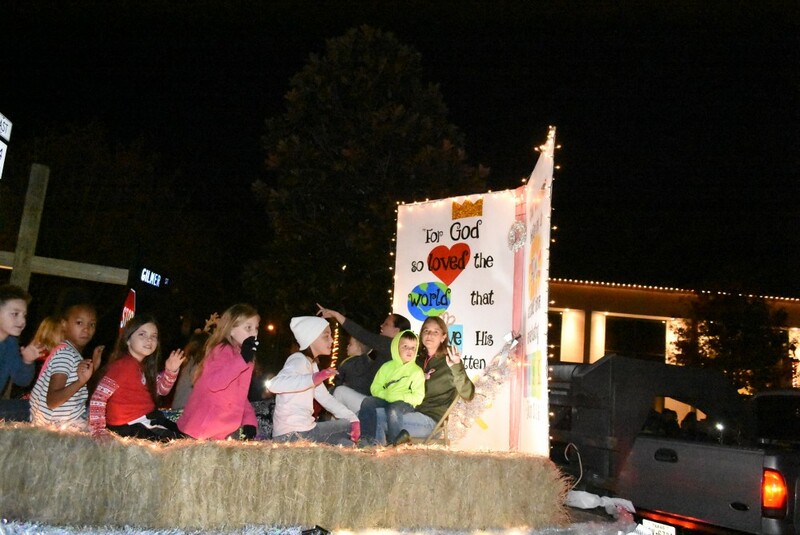 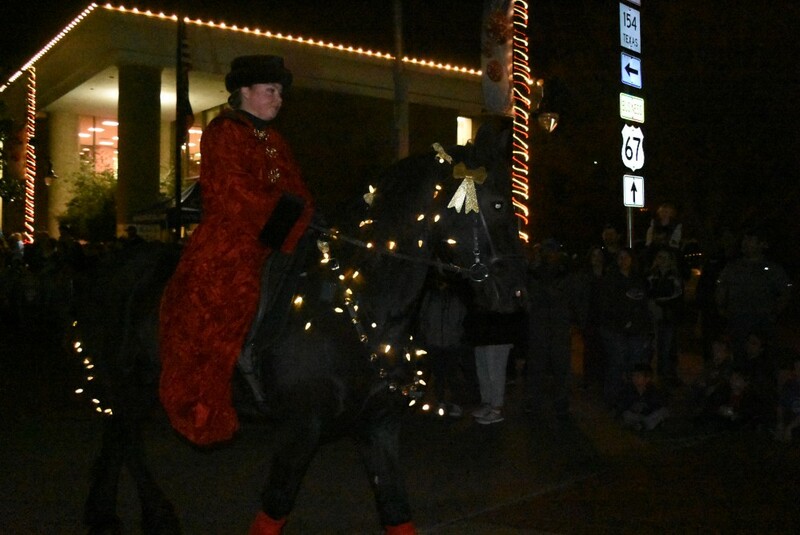 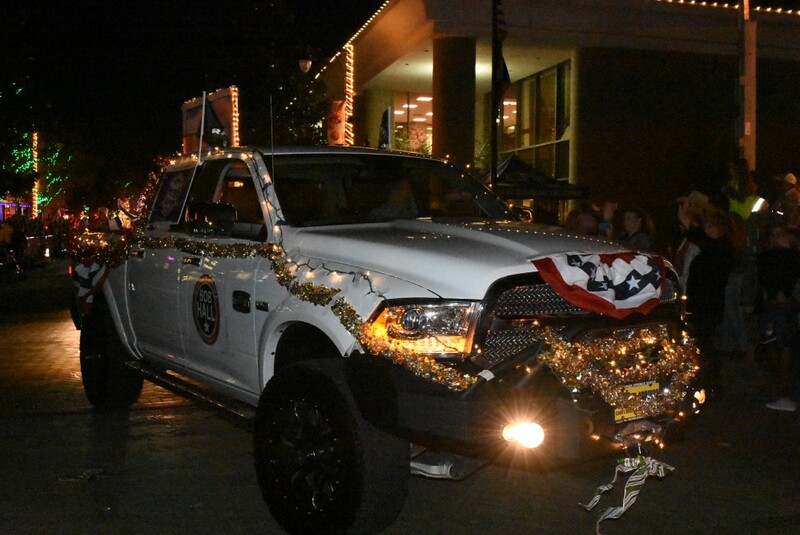 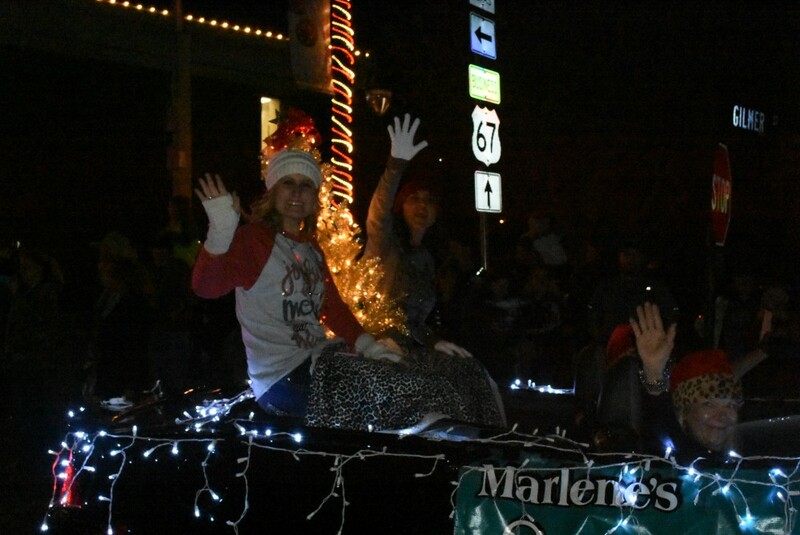 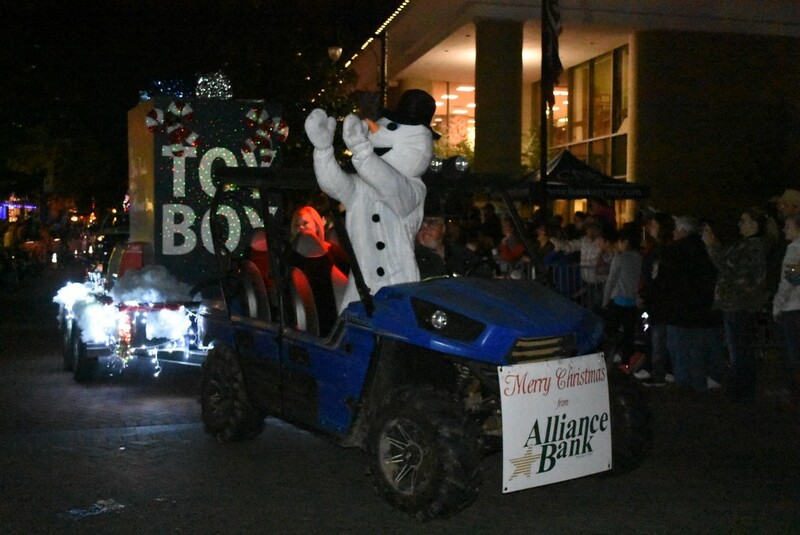 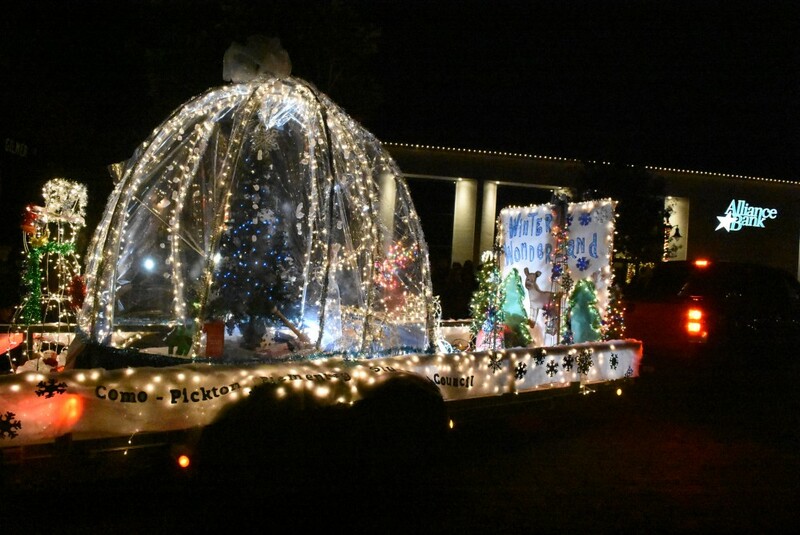 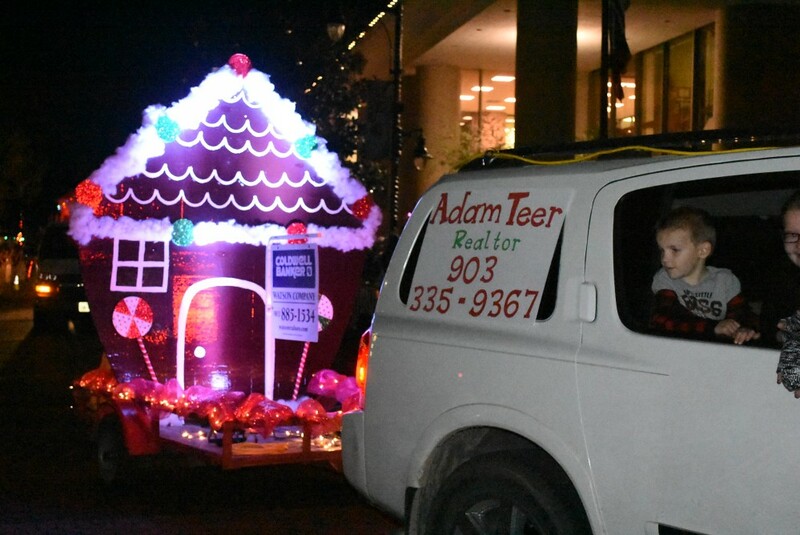 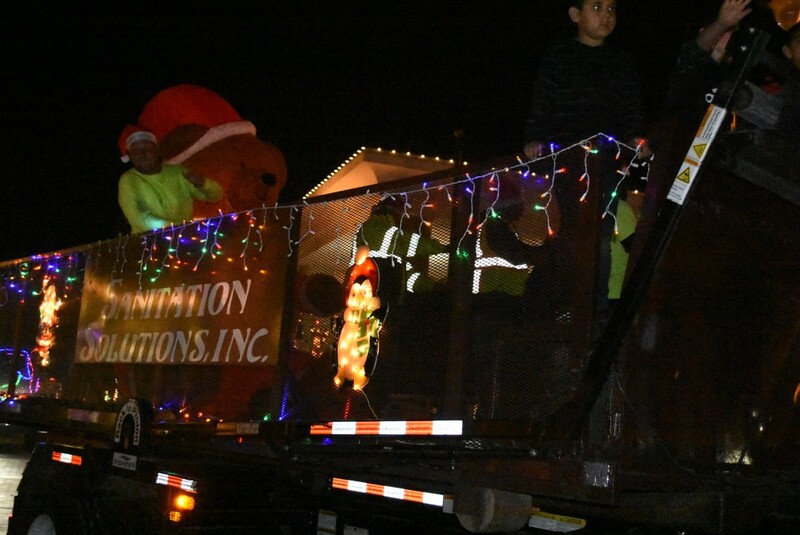 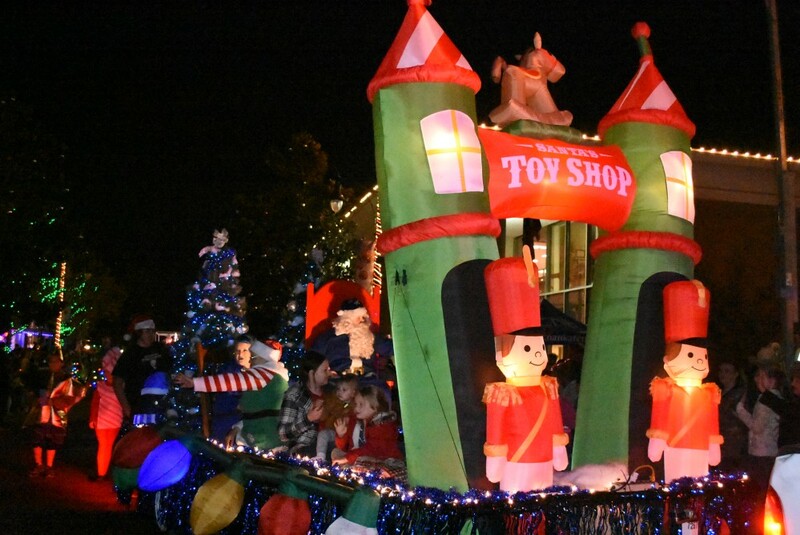 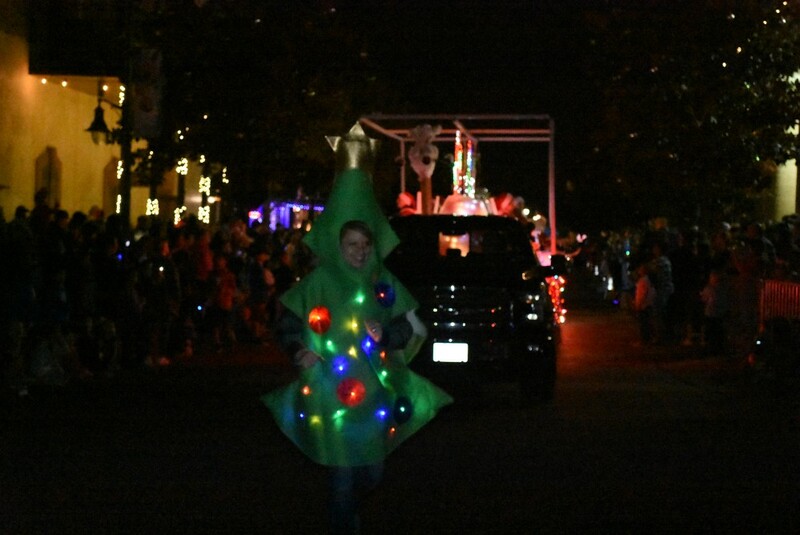 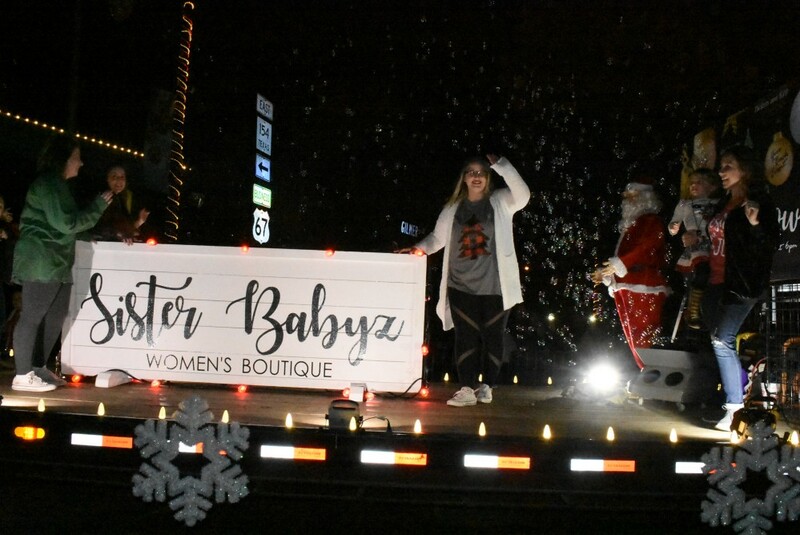 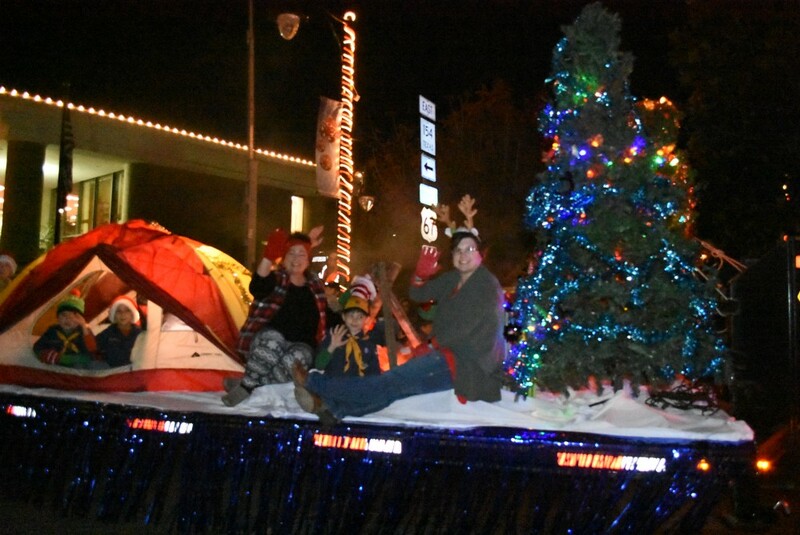 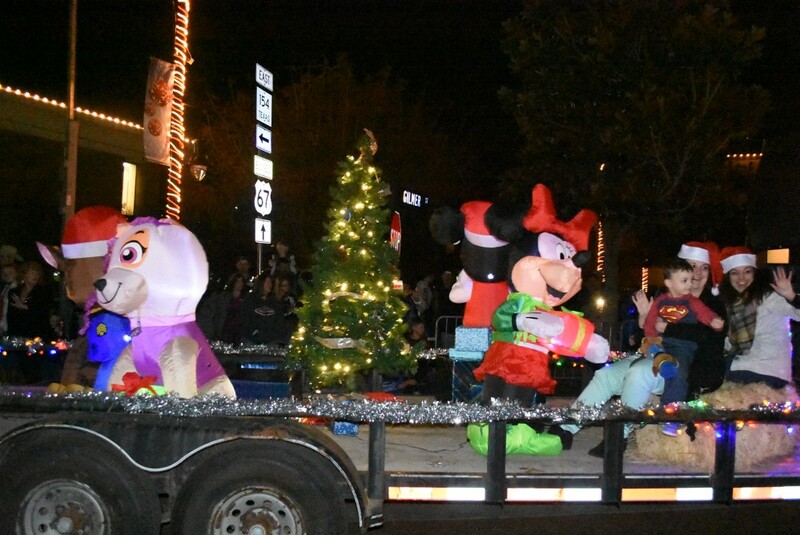 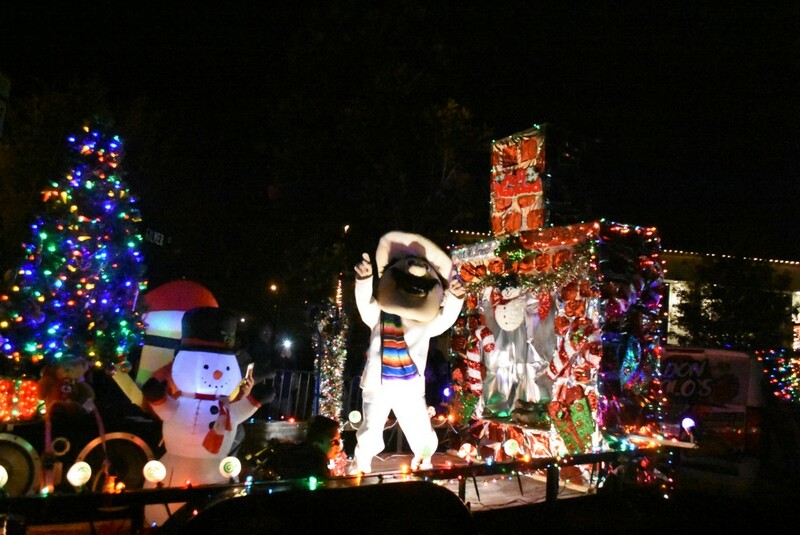 The parade was full of bright lights and Christmas decor. 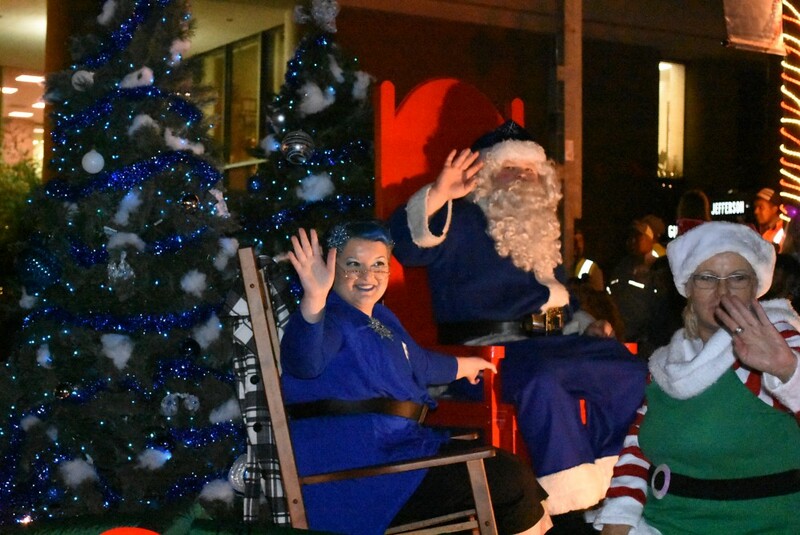 There was a Blue Santa, lots of presents, and many decorative Christmas trees. 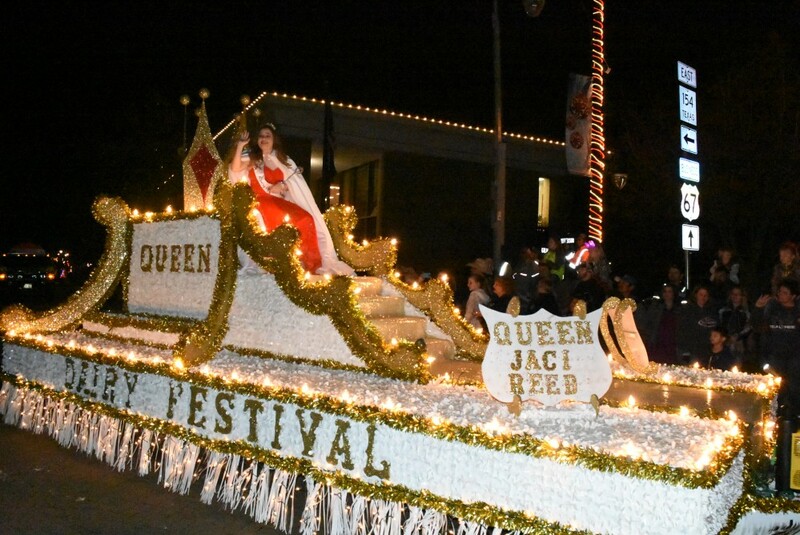 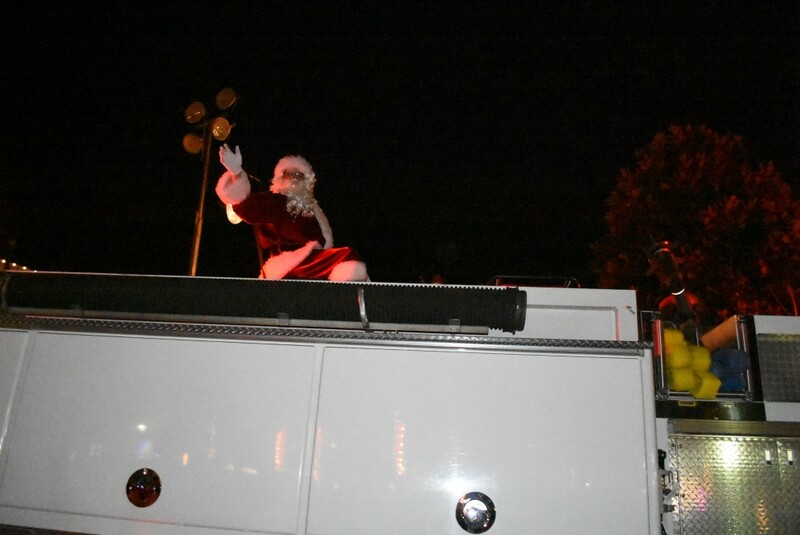 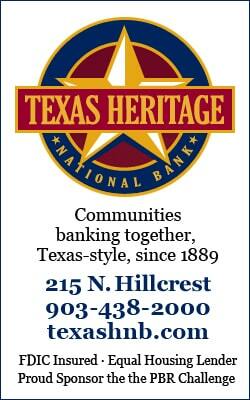 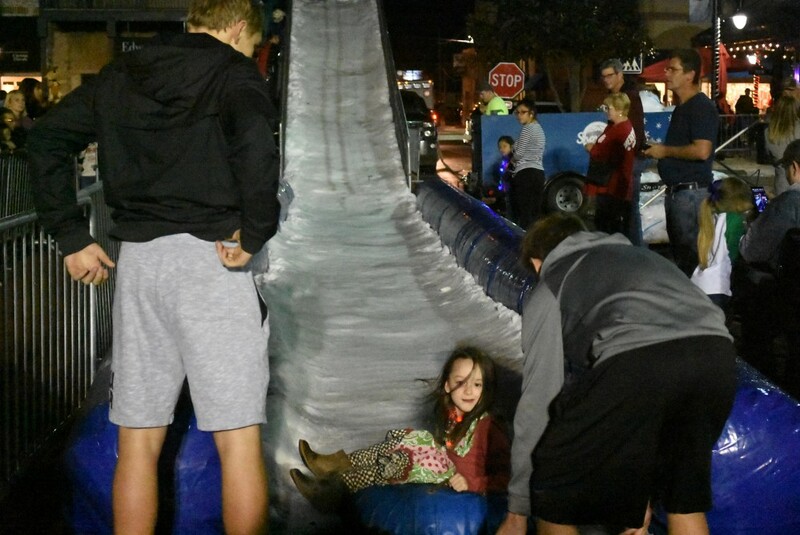 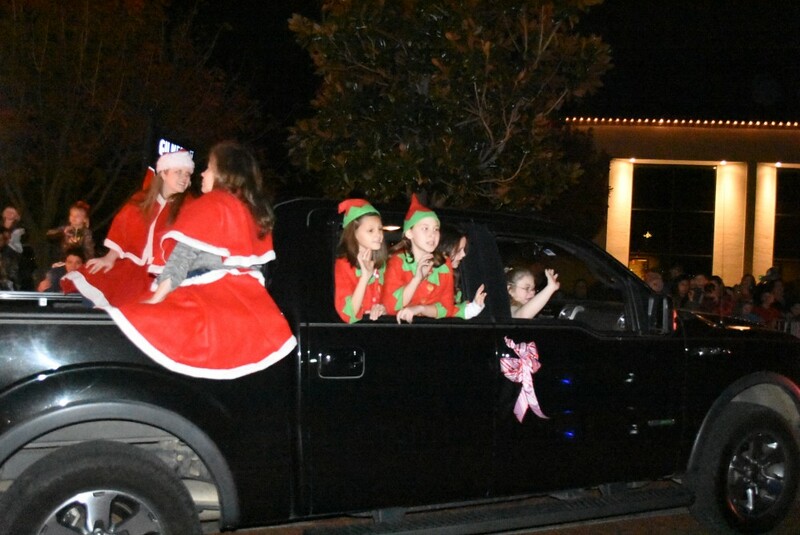 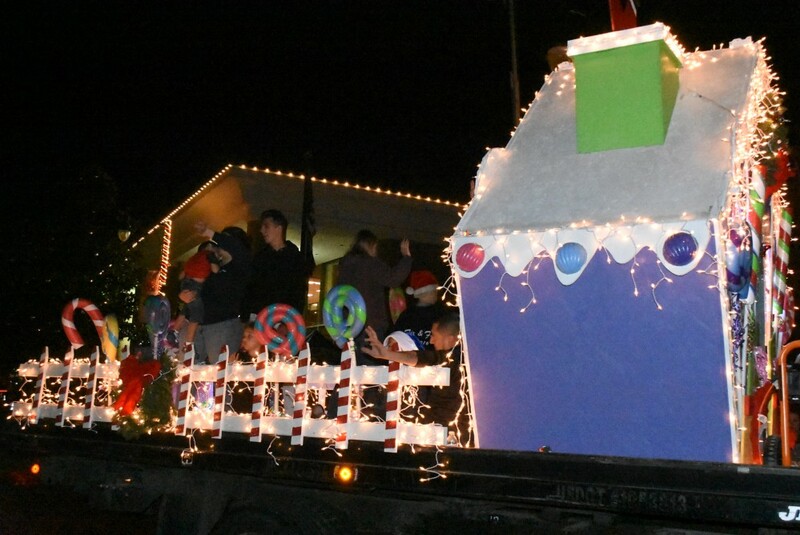 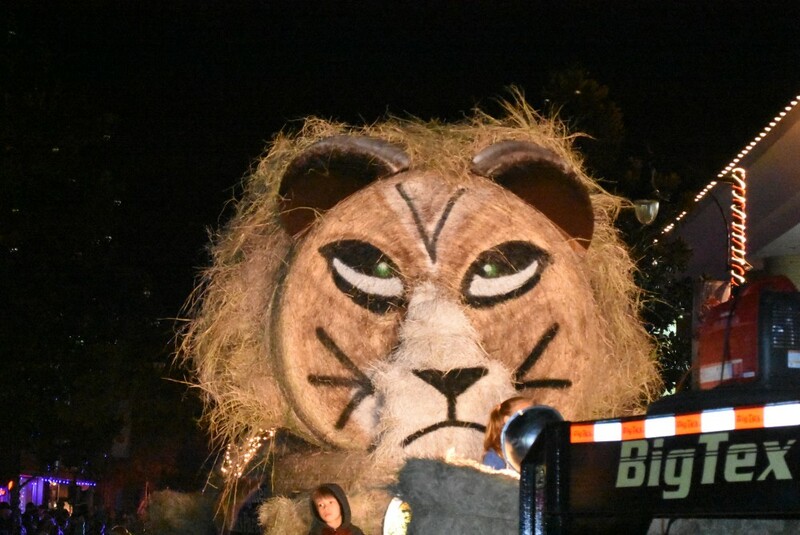 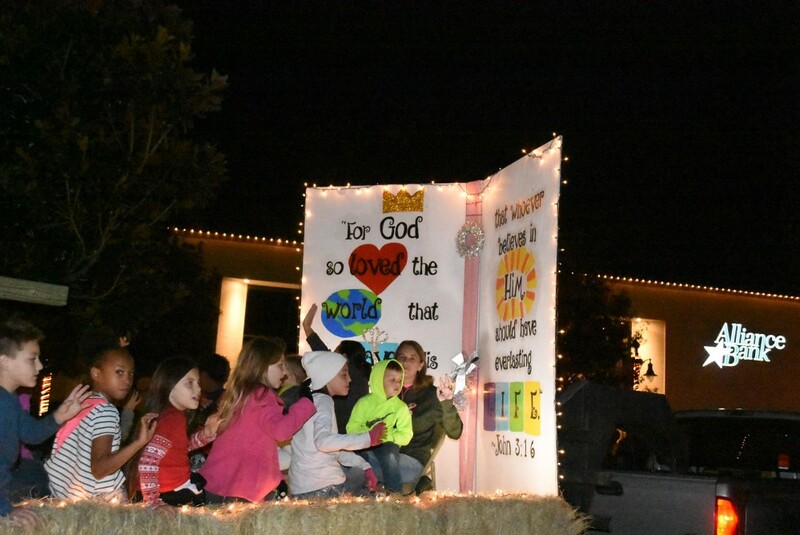 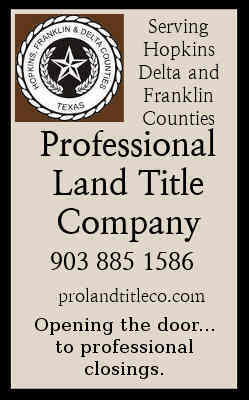 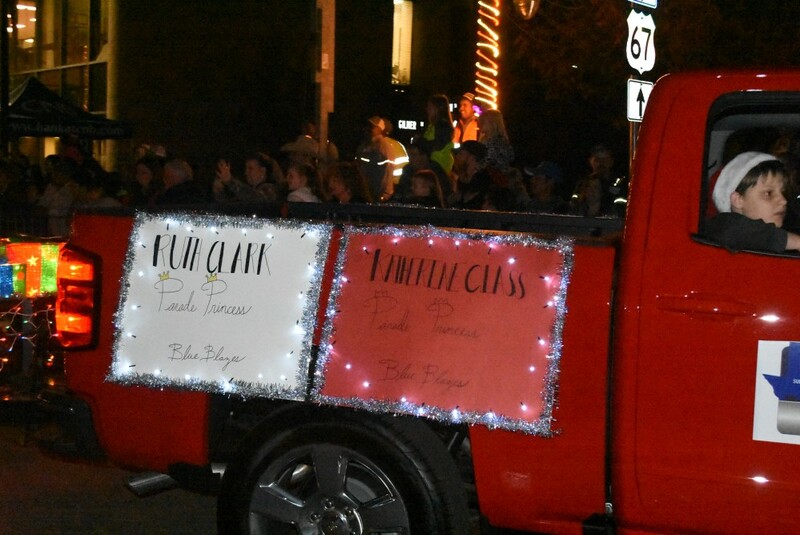 Streets were packed with many townsfolk who eagerly watched and cheered as the floats passed. 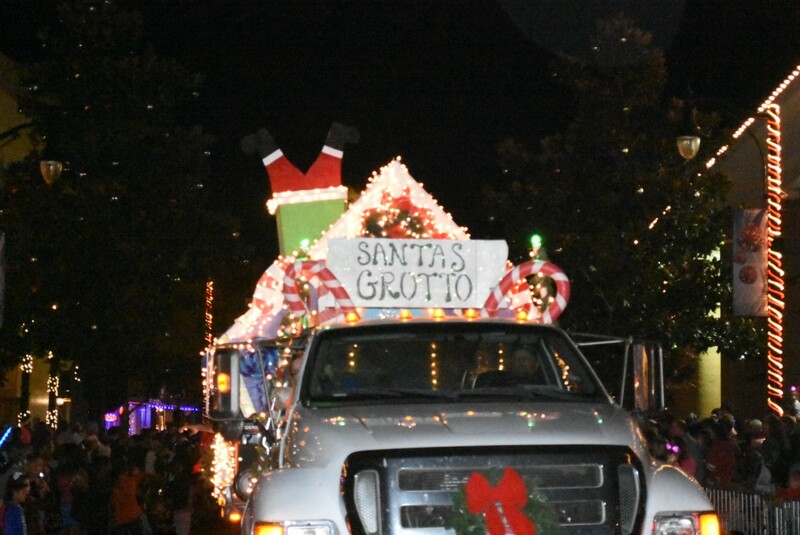 The Parade started in Buford Park, and traveled down Connelly to Houston. 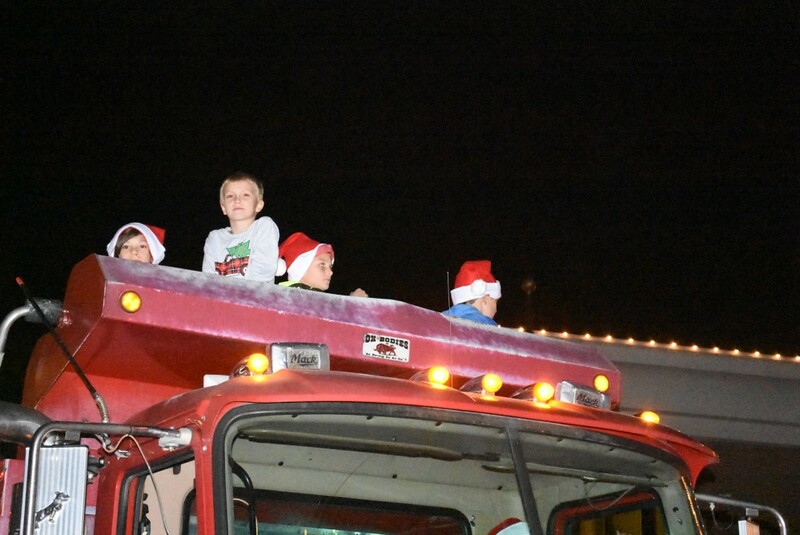 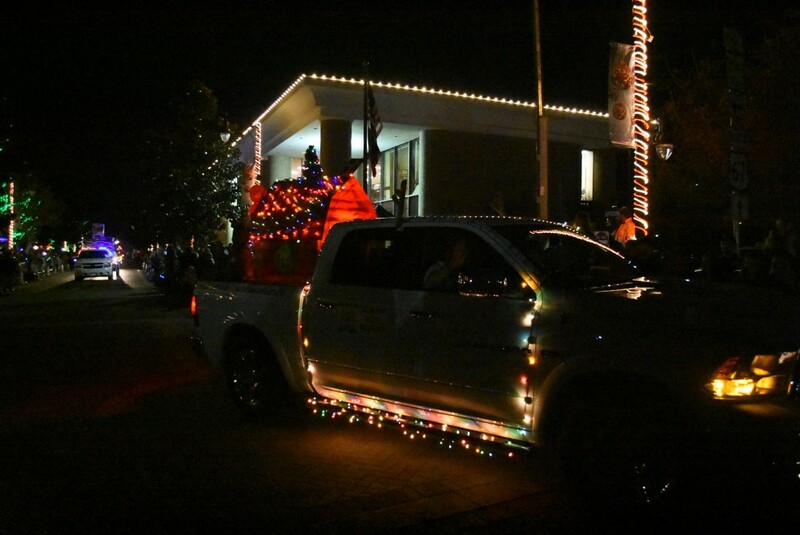 Trucks and cars of all kinds and colors passed with people singing Christmas carols and wishing everyone a Merry Christmas. 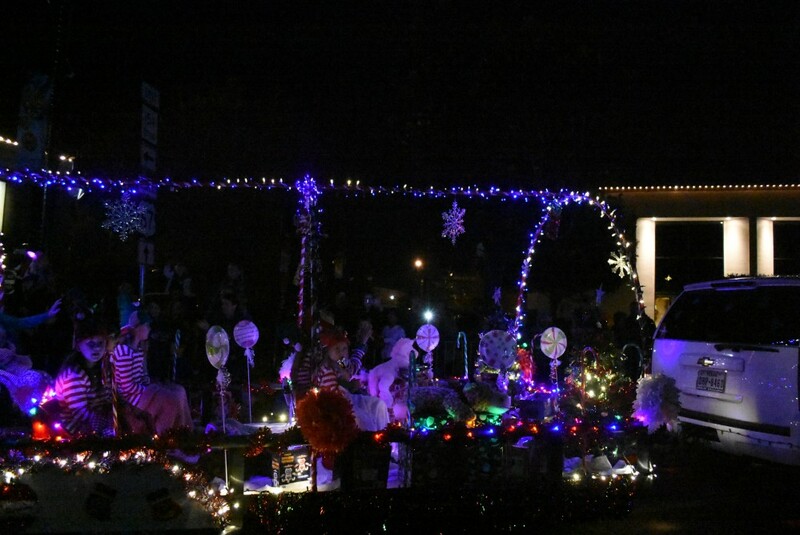 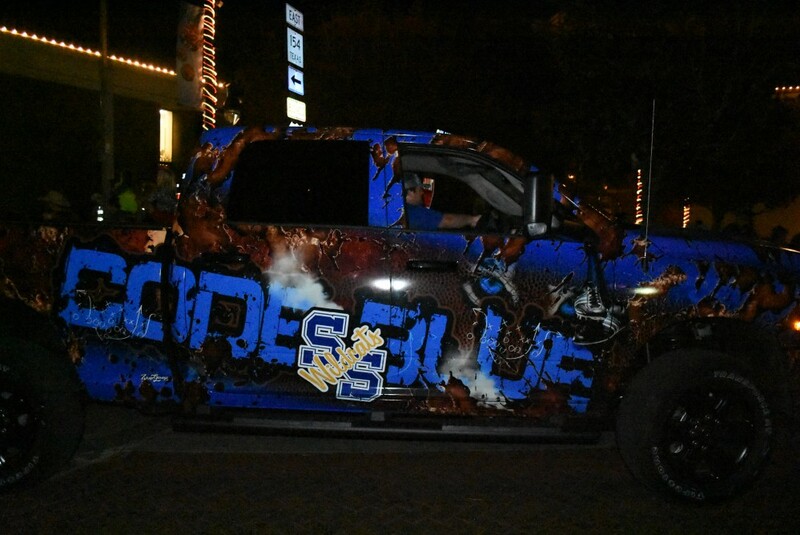 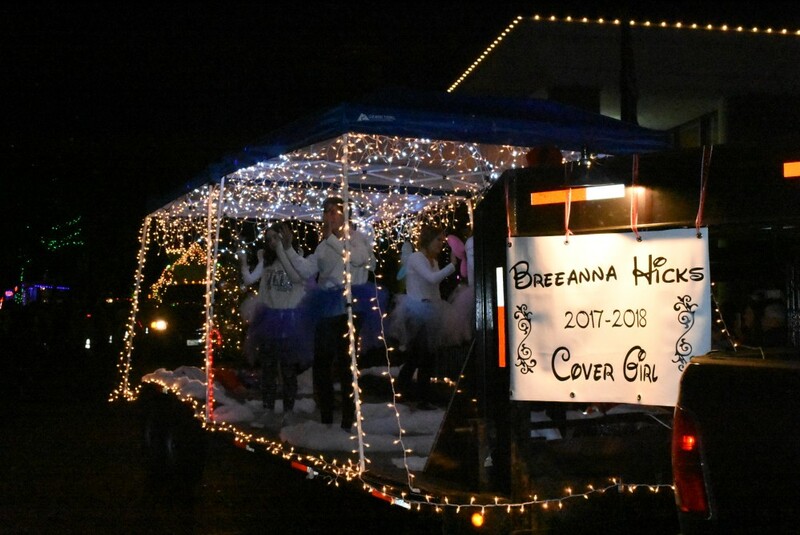 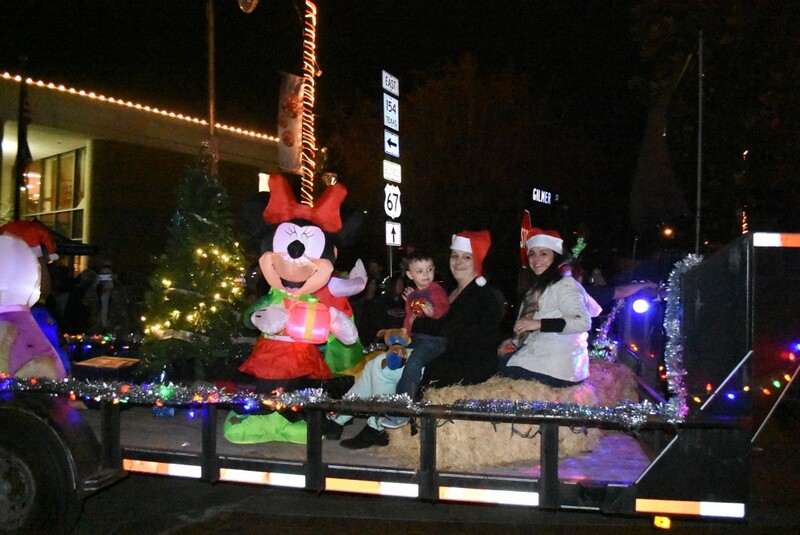 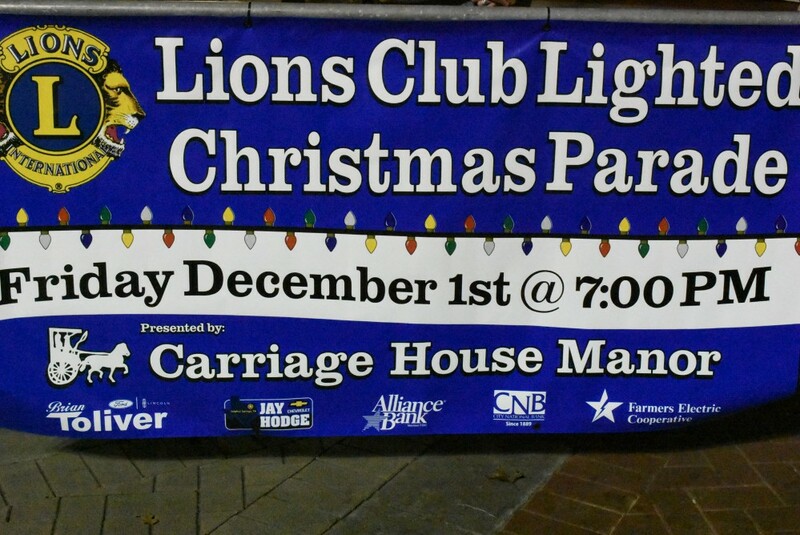 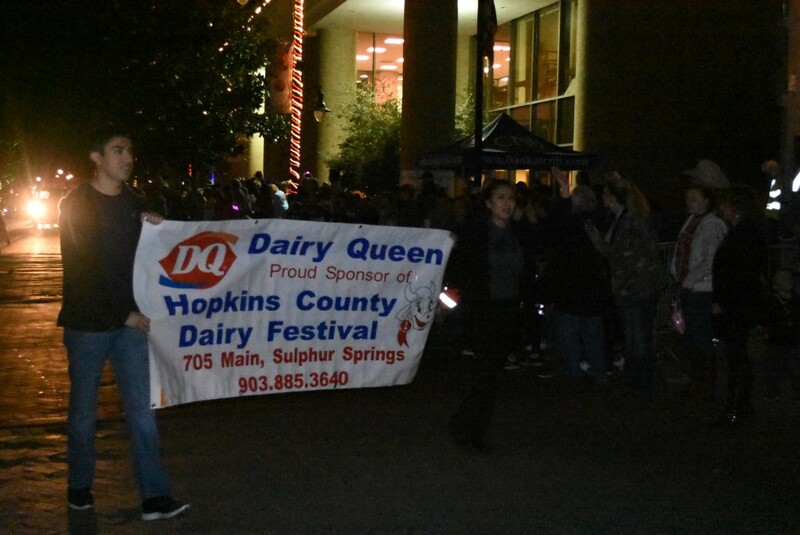 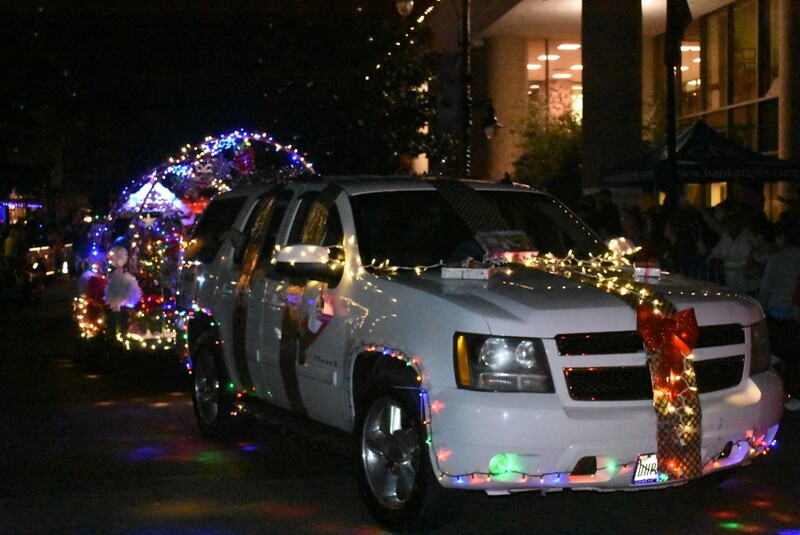 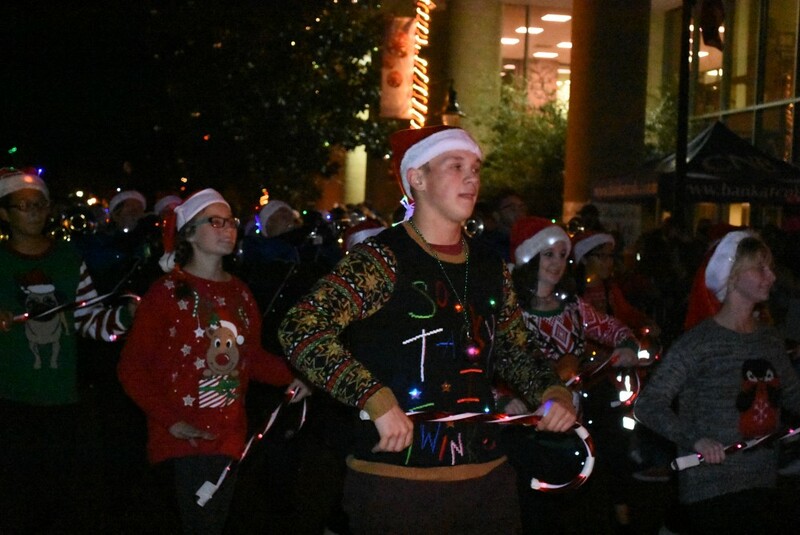 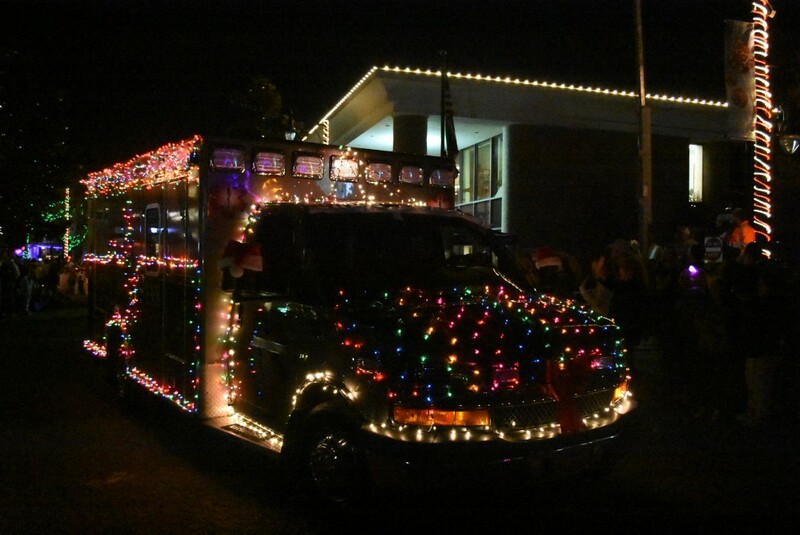 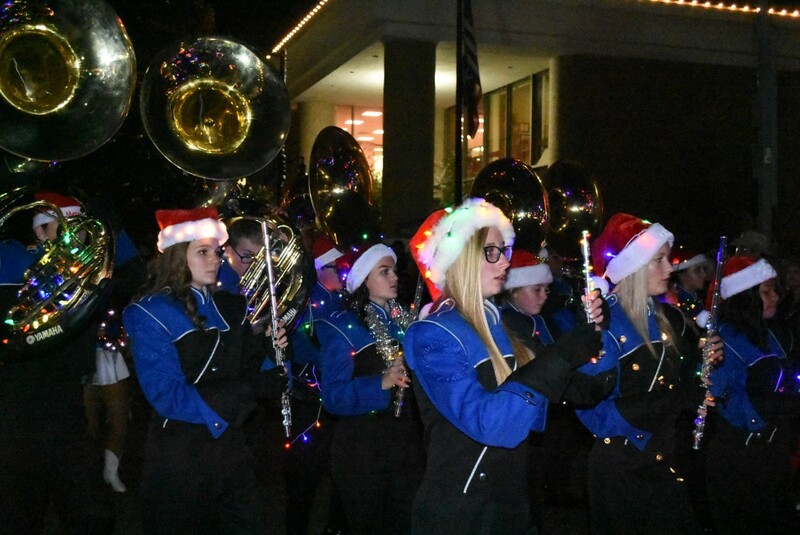 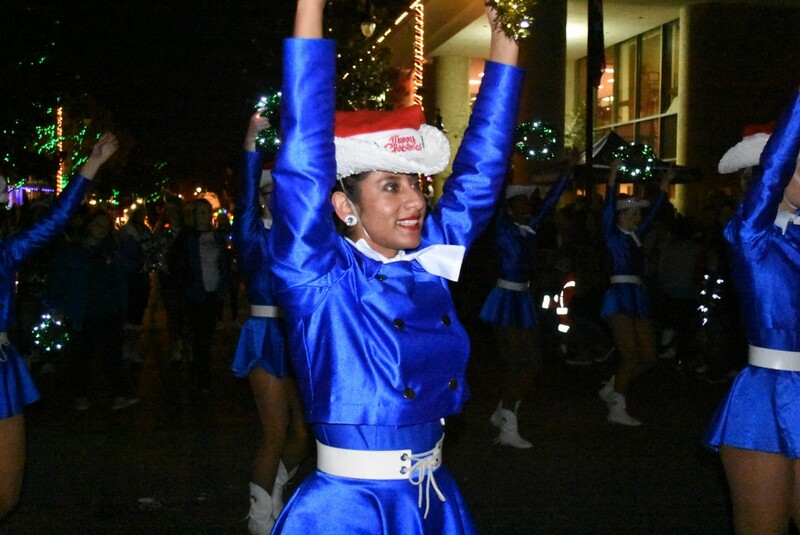 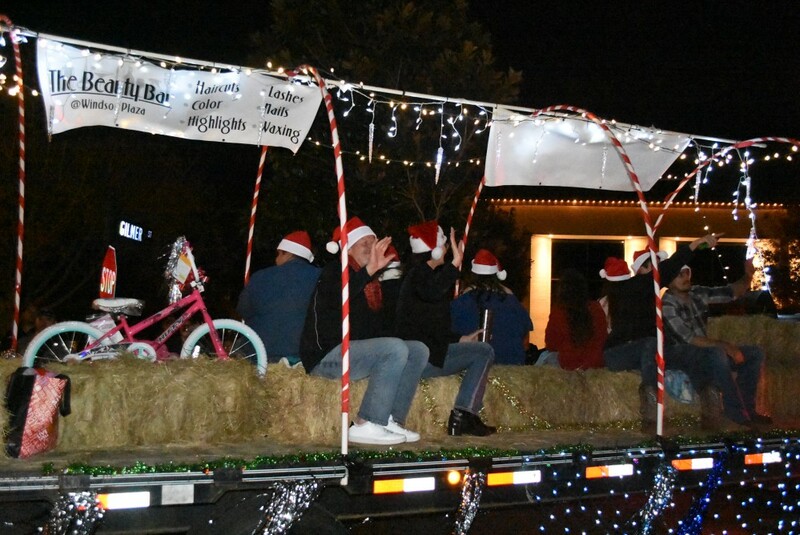 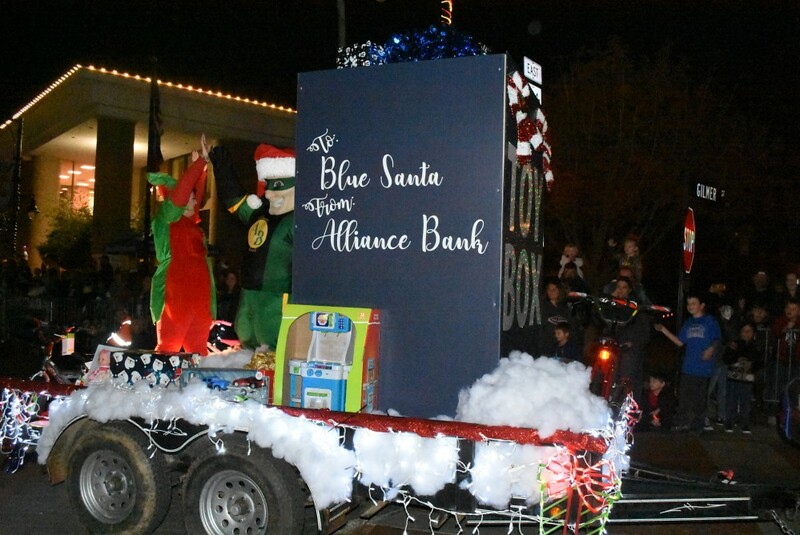 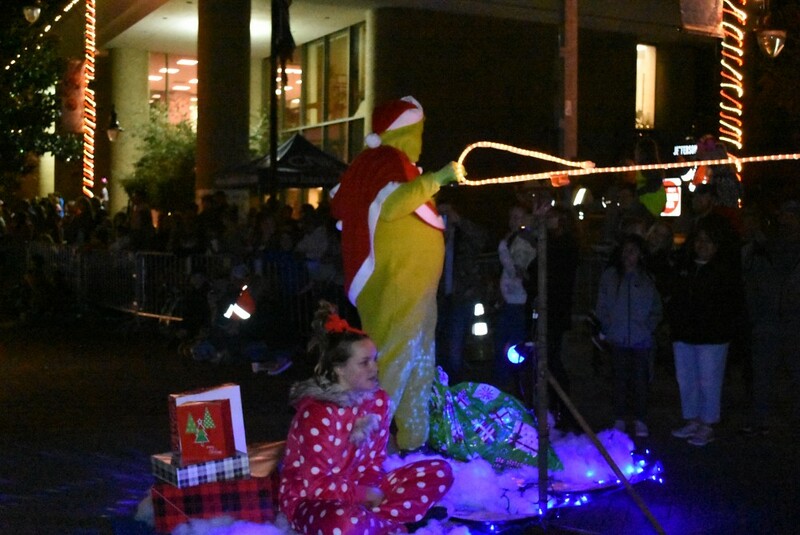 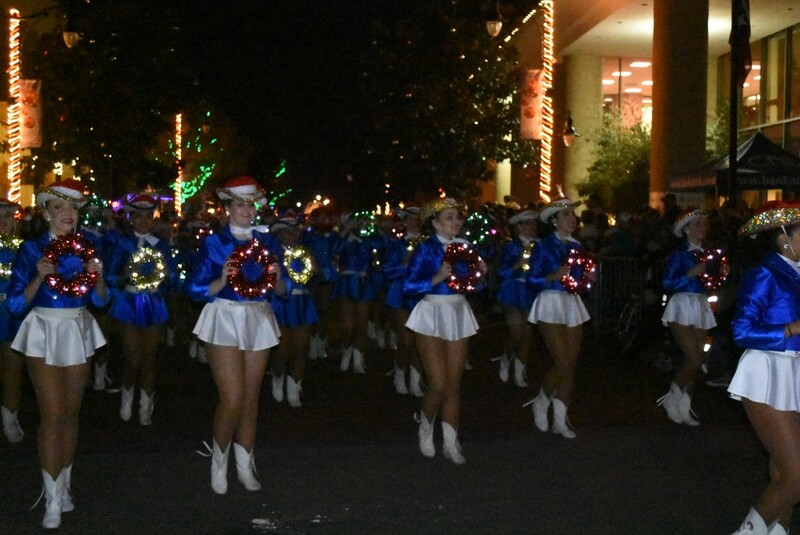 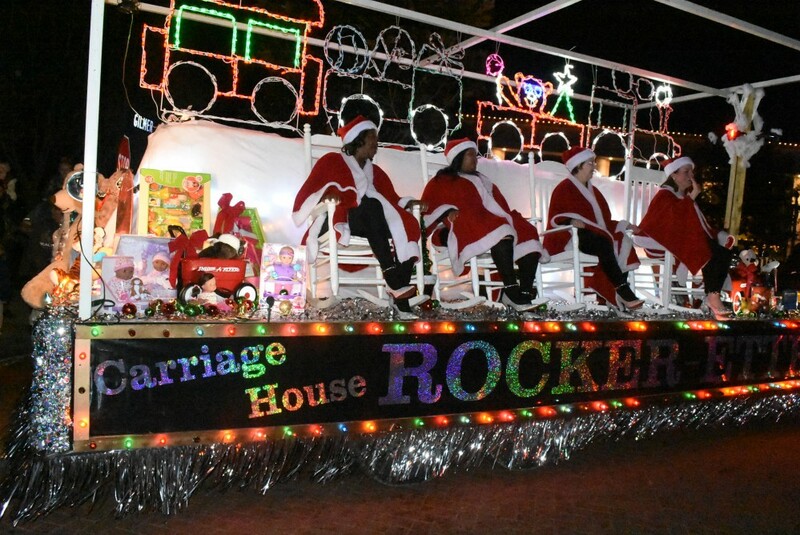 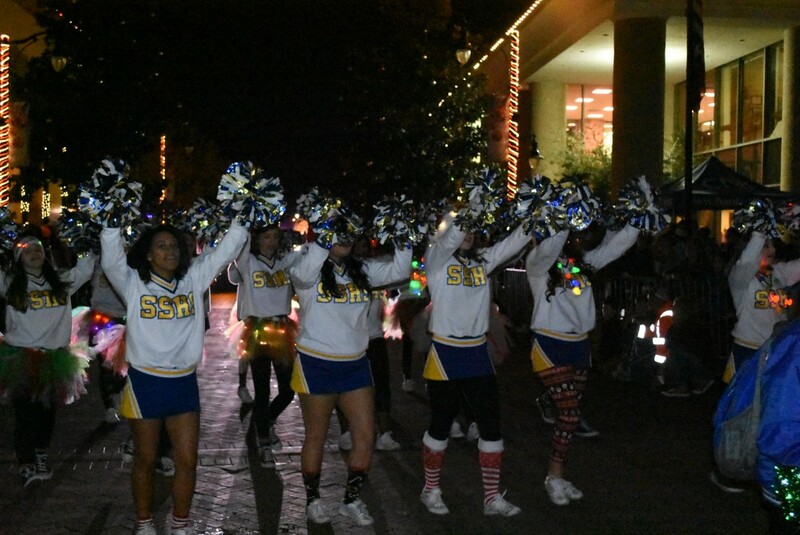 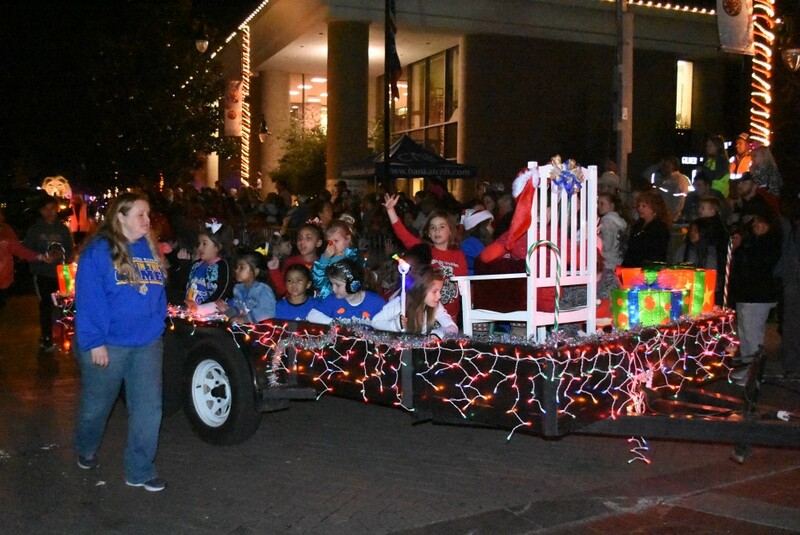 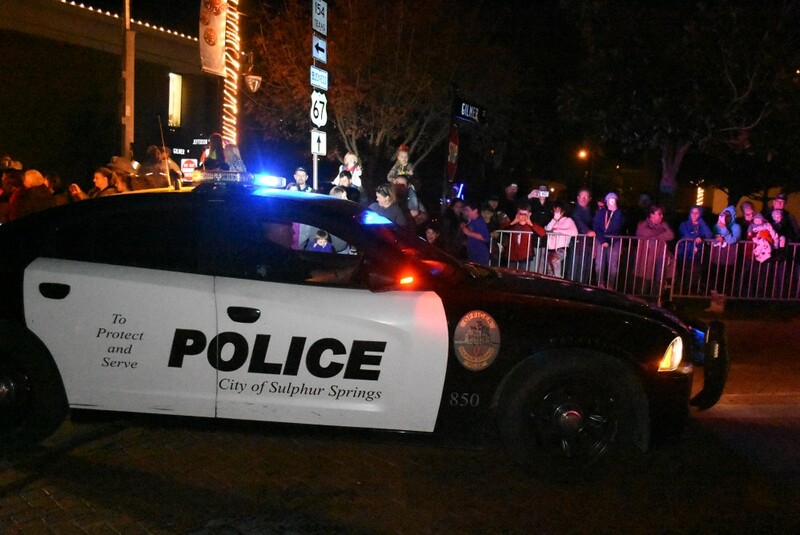 Sulphur Springs Band and Cheerleaders were also decked out in Christmas lights. 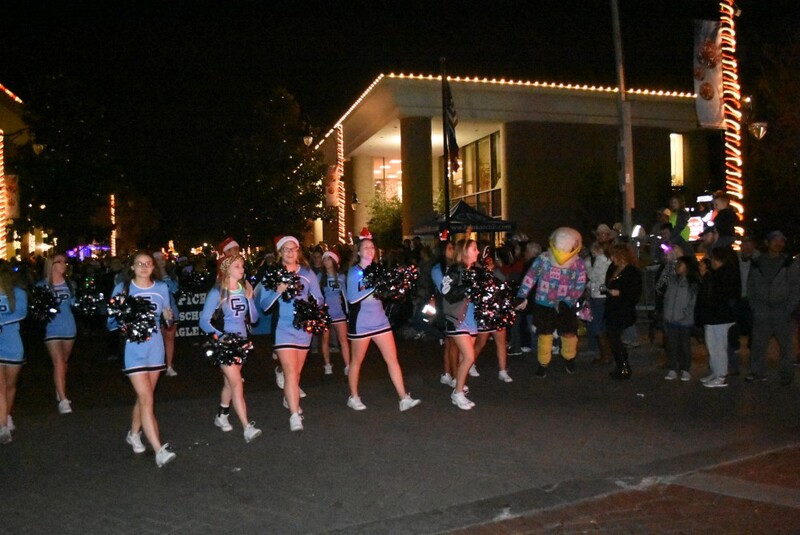 The Como-Pickton Cheerleaders performed their routines with a mascot who wore an ugly Christmas sweater. 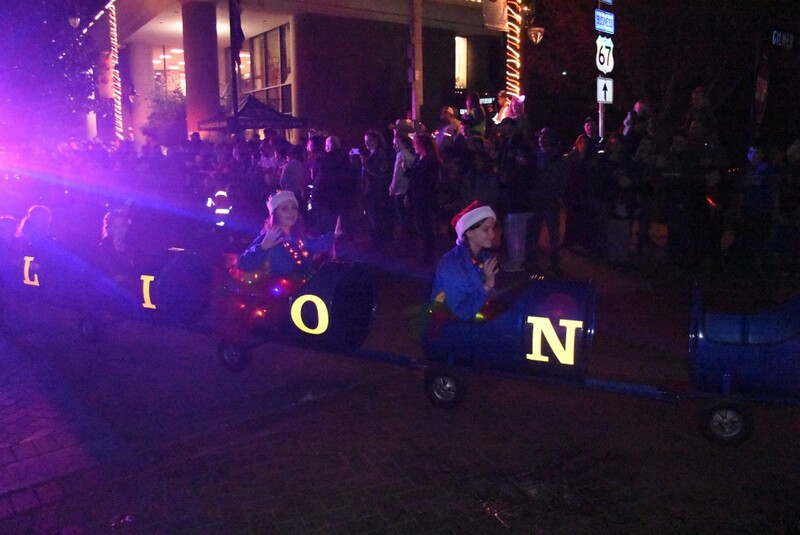 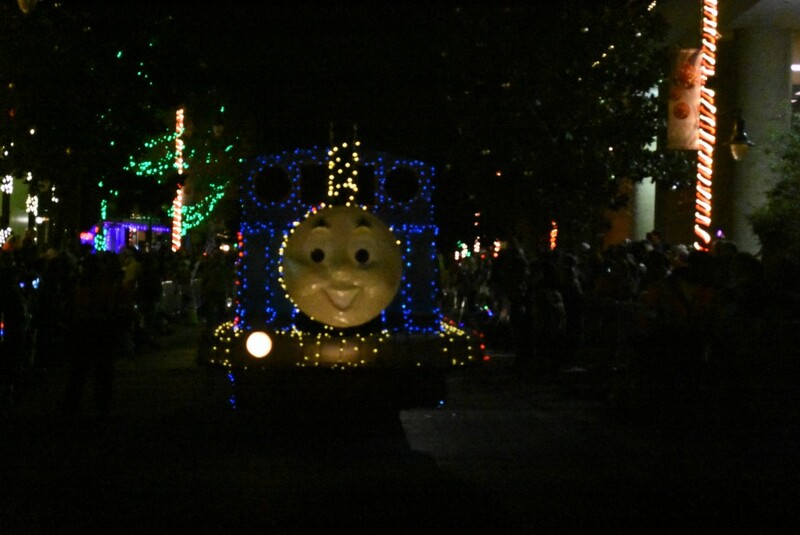 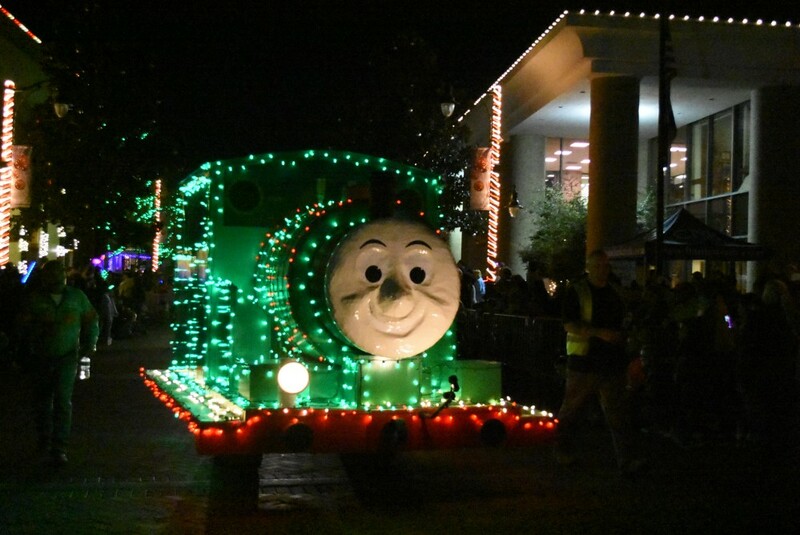 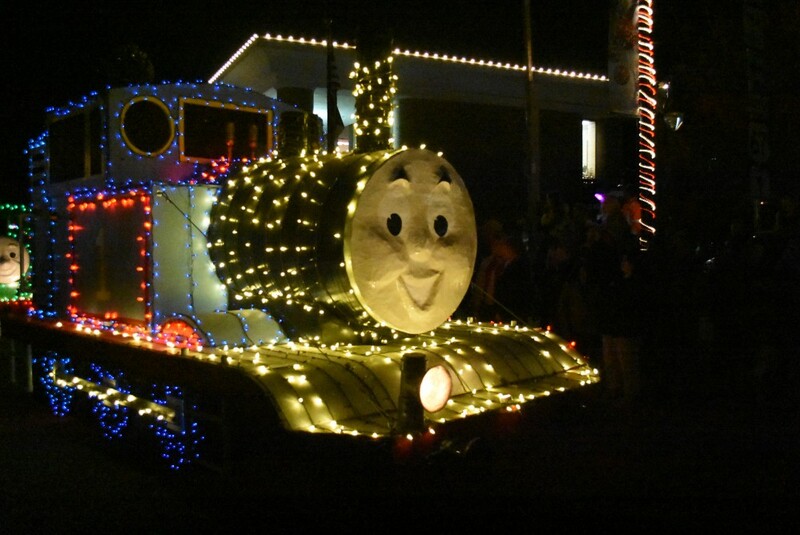 There was even Mary Poppins, the Grinch, and Thomas the Train! 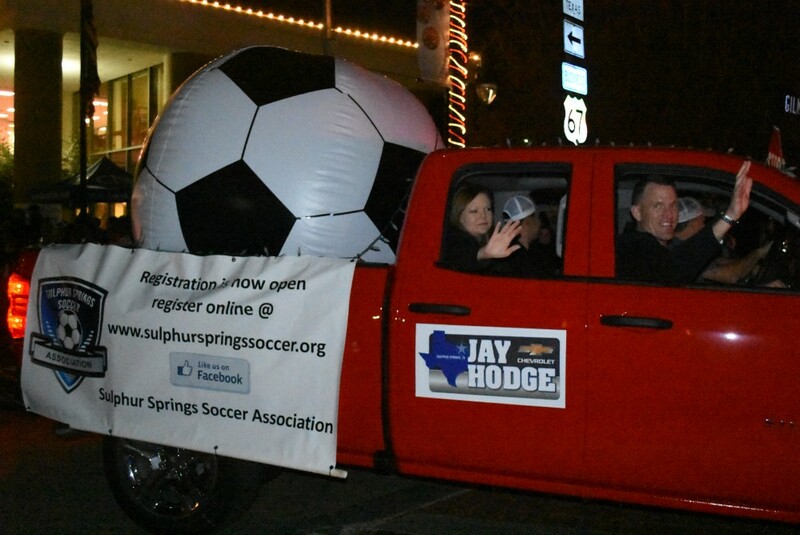 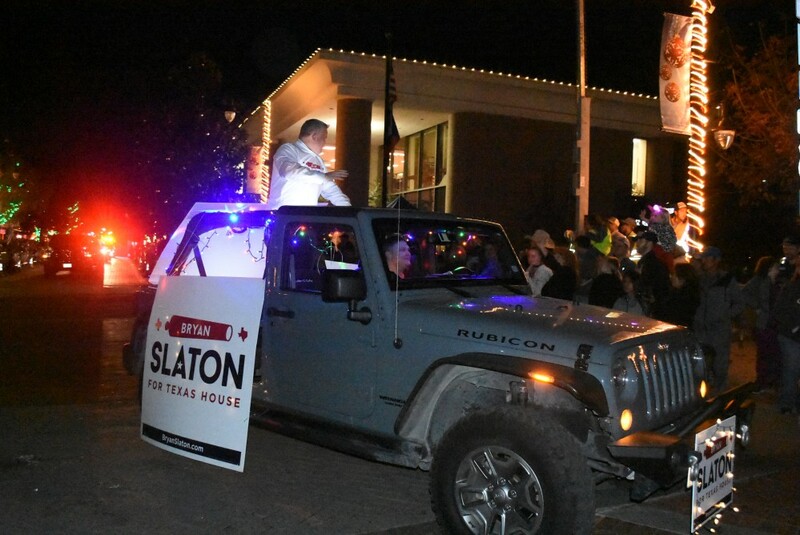 Here are some photos from the parade.